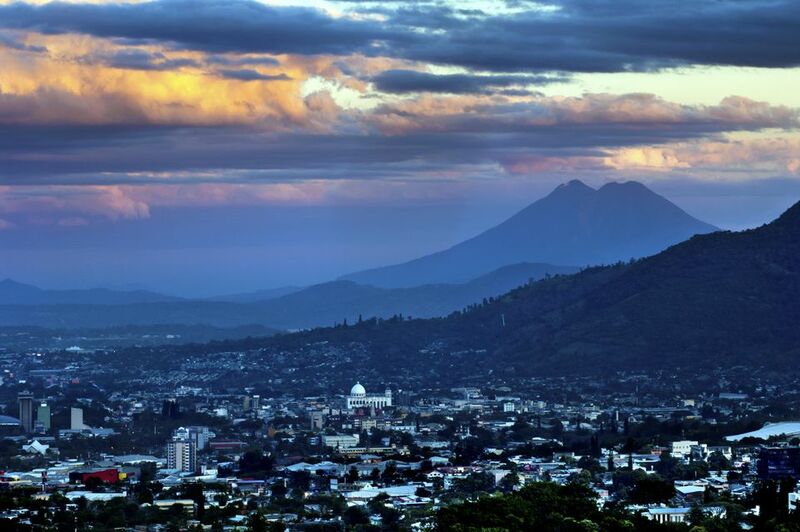 El Salvador is a tiny yet charming and incredibly interesting in Central America. There are some cities in it but its true attractions are in the countryside. This makes it a great place for adventure seekers and nature lovers to visit. As a traveler, you will find a country with tons to offer without crowded touristic areas. El Salvador's beaches receive some of the best waves for surfing from all over the world. Water skiing, tubing, wakeboarding, parasailing, and jet skiing are also popular along the beaches. If on the other hand, you are into wildlife conservation you can visit one of the Sea turtle Rescue Centers. Nature walks are also an amazing thing to do in the country. You can walk along forests to reach waterfalls, explore the cloud forest of the Montecristo region and camp on Cerro Pital National park. El Salvador is also located along a strip of land that goes from the Pacific coast of North America to the southernmost point of Chile that is called Ring of Fire. It is basically the union of two tectonic plaques. Their constant collision over thousands of years is what has created and will keep creating volcanoes in the area. This makes the Pacific coast of America, including El Salvador a place with tons of volcanoes. With so many of them around you can't visit Central America and not go for a hike in one of them. These are all pretty short volcanoes, offering a nice, easy hike. The tallest one is Santa Ana at 2.381 meters above sea level. Coming to Central America and not hiking at least one of its volcanoes is missing out on the essence of the region. When it comes to El Salvador, you can hike three of them safely. We're referring to the ones surrounding the Cerro Verde National Park. In it, you will be able to go for a hike in Cerro Verde, Izalco, and Santa Ana. Hike up Santa Ana (El Salvador's highest volcano) and peer into the neon green, boiling, sulfuric crater lake, or catch a glimpse of the Pacific from Izalco's summit. There are some companies out there offering tours to them but to be pointed in the right direction you can contact the Federación Salvadoreña de Montañismo y Escalada. They also guide tours to some of the other volcanoes and some mountains that are not commonly open to the general public. NOTE: The highest point in El Salvador isn't a volcano. So if you want to visit it you will have to go to El Pital Mountain. You can drive almost to the top where you will find a cute camping area. The highest point itself isn't impressive with great views, but there is an area hidden in the forest that will provide amazing views.